Bioidentical hormone replacement therapy (BHRT) has absolutely revolutionized the health of many of my patients at Revolution Health in Tulsa. I see the benefits on a daily basis. Some patients come back (for follow up) in tears and can’t believe they feel so good after feeling so bad. They often tell me they feel as though they’ve gotten a second chance at life or that they have their life back. Second only to Prolotherapy, which is probably the single most effective thing I do in my clinic, bioidentical hormone replacement therapy is one of the most effective interventions we offer. This concept is simply beyond me. Why on earth would she think it is a scam?!? I supposed it is because some major medical societies are opposed to bioidentical hormone replacement therapy (BHRT). At first pass this doesn’t make much sense either until you understand what bioidentical hormone replacement therapy (BHRT) is, how it is done, and why they are opposed to it. Simply, it is the use of hormones which are bioidentical to human hormones and at doses which are generally customized to each individual patient. Bioidentical hormones can be fashioned for oral (pills, troches, liquid), transdermal (creams, gels), injectable, and percutaneous (pellet) use. Doses can be individualized for a custom approach for each patient. The only way to get this level of customizability is to compound these medications at a compounding pharmacy. By the way, compounded medications are not FDA approved and that is one of the major hang ups these medical societies (ACOG, Endocrine Society, etc) have with bioidentical hormone replacement therapy (BHRT). Some bioidentical hormone replacement therapy (BHRT) prescribers use a customized approach based on patient symptoms. Some use blood testing. Others use saliva testing or urine testing to tailor the dose to the specific patient. What exactly does FDA approval mean? The FDA approves certain medications. Basically, the drug manufacturer performs studies on safety and effectiveness and presents the data to the FDA. The FDA will review the data and either approve or reject it. It is important to understand that FDA approval means that the company presented data on a specific drug and a specific dose or doses. For example, Testopel (testosterone pellets) are FDA approved in doses ranging from 150-450mg. That is 2-6 pellets. So, technically speaking, 1 single pellet (75mg) is not FDA approved. Additionally, 525mg (7 pellets) is not FDA approved either. Neither of these doses appear to have been studied by the manufacturer so there was no data submitted to the FDA for approval so the FDA obviously couldn’t approve it. Clearly a 75mg dose wouldn’t be harmful but it may be insufficient to achieve desired results. But, again, it virtually couldn’t be harmful or detrimental. It is also unlikely that the 7th pellet is harmful though I guess it is possible. In any case, use of Testopel at any dose other than 150-450mg is not FDA approved and considered “off label” use. Physicians do have the authority to use medications “off label” and have done so for years. There are a number of medications that are being used off label. I make no argument against these medications being used off label. In fact, they may be very beneficial in some cases. These are common uses which are generally accepted in the medical community. Additionally, the FDA merely governs drug approval not drug prescribing and physicians are free to prescribe a drug for any reason they believe is medically appropriate. Now that we understand a little about how medications are FDA approved we can dig a little deeper into the typical prescribing of hormones. 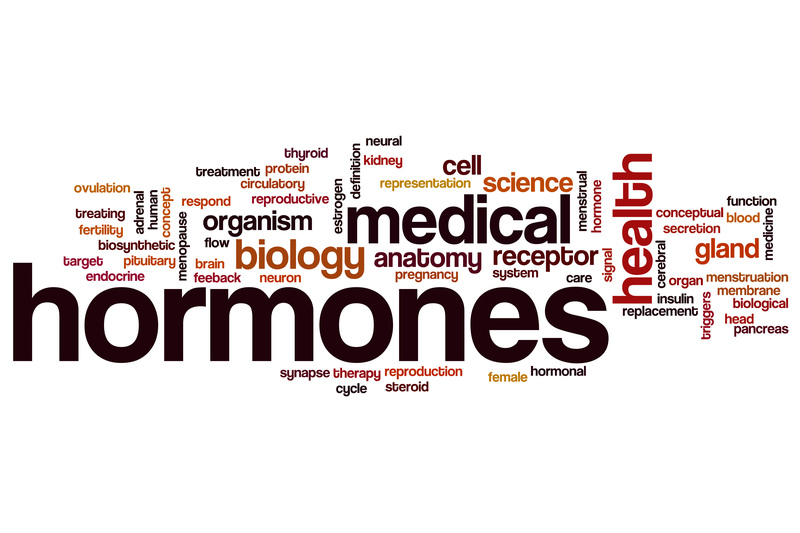 There are FDA approved bioidentical hormones for estrogen, progesterone, and testosterone. However, many hormone prescriptions are for non-bioidentical hormones such as Premarin. Most traditional physicians prescribing hormones are not customizing the dose to the individual patient. That is another component setting bioidentical hormone replacement (BHRT) apart from non-bioidentical hormone replacement. Premarin is a great example of a non-bioidentical hormone replacement therapy option. Premarin is available as an oral tablet in 5 doses (0.3, 0.45, 0.625, 0.9, and 1.25 mg). Obviously there is a level of customization available but only in those options. In practice, it has been my experience that many doctors will simply prescribe one dose for most patients. Kind of a “one size fits all” approach. I think it is because they don’t understand how to properly manage the dose and tailor it for the patient. The Women’s Health Initiative (WHI) study details some of the risks and benefits of using some of the non-bioidentical hormones for post-menopausal women. As stated earlier, many doctors and many medical societies are opposed to bioidentical hormone replacement therapy (BHRT). I understand that there is not good ‘evidence’ to support a customize approach to hormone therapy but I believe it is very important to ask WHY there isn’t good evidence. What is the typical source of this evidence? The bottom line is that the source is research studies and if you can get randomized, placebo-controlled, double-blinded studies then you have the cream of the crop. But these studies are very expensive and someone has to pay for them. The only ones, typically, willing to spend the money are those with something to gain. And it needs to be a LOT to gain! Estimated costs to get a prescription drug FDA approval range from $161 million to $1.8 billion dollars. That is a staggering amount of money! Additionally, the data submitted to the FDA have to cover the range and combination of medications seeking approval. Costs will go up exponentially. Basically, you just have to follow the money to understand how these medications get support. But let’s talk about compounding for just a minute. It is frustrating that the Endocrine Society said that these formulations “are not subject to FDA oversight…”  That is simply NOT the case! The FDA absolutely has oversight over these medications. FDA Regulations 503a & 503b govern compounding pharmacies. Additionally, the state board of pharmacy also behaves as an agent of the FDA, DEA, and the State Board of Pharmacy. In fact, the FDA can walk into any compounding pharmacy at any time and ask to inspect the facility. With that being said, there is a huge potential for quality concerns with compounding pharmacies. A great example of a poor compounding pharmacy was the New England Compounding Center (NECC). You may recall that several people died several years ago due to infections caused by medications from this pharmacy. I have had experiences with more than one compounding pharmacy illustrating these quality concerns. One of my staff members was on progesterone when the compounding pharmacy we typically used was bought by another pharmacy. Her next refill after the transfer of ownership didn’t go well. She told me that she felt as though she wasn’t even taking progesterone anymore. Her night sweats returned as well as her other symptoms. She was very frustrated. We called the pharmacy and they told us they had made some changes and would send another prescription which seemed to fix the problem. However, she got another prescription at a later date and had the same problem. It seemed that every time she got her medication filled at that compounding pharmacy there was a problem but when she got it somewhere else it was fine. That is obviously concerning. On the other hand, I have used another compounding pharmacy for several years and never had a single problem. I have toured their facility and I know their quality control measures. I know how they seek the highest level of quality and what steps they take to ensure it. There are many pharmacies with the same level of quality and we have had good success with those as well. If you are wanting compounded medications it is essential that you have a relationship with the pharmacy and know their history OR you know a reputable doctor who knows which pharmacy to use. I have talked with several compounding pharmacists asking them how the average patient knows which pharmacies are good and the bottom line is that you can’t. It is all about the relationship based on history. Their argument is valid. However, the risks can be easily circumvented when you find a good compounding pharmacy and there is tremendous value added. Unfortunately, these societies are throwing the baby out with the bathwater and ignoring a tremendous benefit. It is a true shame. The FDA has stated that “…compounded drugs can serve an important medical need for some patients…”  I believe that this is definitely one of the times when compounded drugs can make a big difference. The other reason ACOG and the Endocrine Society are opposed to bioidentical hormone replacement therapy is that they feel there is no evidence to support a customized approach for each individual patient. I can tell you they are wrong. Their position is that there are no STUDIES proving that a customized approach is more beneficial. However, you will likely never see any studies proving this information. Why? First, reference my discussion above about following the money trail. These studies are launched by people who have something to gain by funding a study. No money, no study. The second reason you won’t see studies validating a customized approach is that you can’t standardize the approach. It is very difficult to ensure that all patients get the same level of therapy but still have a standardized approach. One way to do this would be to treat to a certain ‘level.’ Yet there is no consensus regarding treatment levels making this a very difficult concept to achieve. Also, many of my patients had been on hormone replacement when they came to me. Countless women had been on different forms or doses of estrogens, progesterone (or progestins), and/or testosterone. Yet many of these patients were still having symptoms and didn’t feel well. 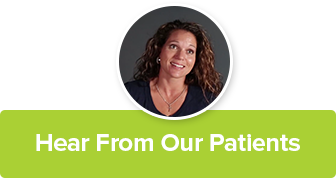 Once we switched them over to bioidentical hormone replacement therapy (BHRT) they nearly instantly felt better. How can we, in good conscience, tell patients that, despite the fact that they feel better, there is no evidence to support continuing their therapy? It just doesn’t make sense to me. Additionally, there is absolutely no evidence of harm. No study shows harm with the use of bioidentical hormone replacement therapy (BHRT). No evidence of harm. Evidence showing benefit. Bioidentical Hormone Replacement Therapy (BHRT) is Beneficial! Bioidentical hormone replacement therapy (BHRT) is a valid, safe, and effective therapy that can help a lot of people! However, there IS evidence showing superiority and safety! If you have read my other post on Hormone Replacement Therapy – A Look At The Women’s Health Initiative then you’ll recall that hormone replacement has some risks associated with it. Risks associated with estrogen (Premarin) alone include stroke and blood clots. The combination hormone therapy (PremPro) risks include cardiovascular disease, stroke, breast cancer, and pulmonary embolism. Multiple studies demonstrate superior safety with bioidentical hormone replacement therapy (BHRT) compared to traditional hormone replacement. BHRT is an invaluable tool and it can be life changing for many women. L’hermite M, Simoncini T, Fuller S, Genazzani AR. Could transdermal estradiol + progesterone be a safter postmenopausal HRT? A review. Maturitas. 2008 Jul-Aug;60(3-4):185-201. doi:10.1016/j.maturitas.2008.07.007. Epub 2008 Sep 5. Simon JA. What’s new in hormone replacement therapy: focus on transdermal estradiol and micronized progesterone. Climacteric. 2012. Apr,15 Suppl 1:3-10. Doi: 10.3109/13697137.2012.66932. Canonico M, et al. Hormone therapy and venous thromboembolism among postmenopausal women. Impact of the rout of estrogen administration and progestogens: the ESTHER study. Circulation. 2007;115;840-845.